Do zombies smile? Given that zombies do not have emotions, they should not. Yet the Smiling Zombie Mask features a big smile, contrary to expectations. Of course, anything that makes a zombie smile does not bode well for the living. Knowing how zombies think, the only thing that would make a zombie smile is a slow or immobile survivor, or a fresh meal. This mask will transform anyone into a gruesome zombie that wears a smile that is half-sneer and half-grimace. 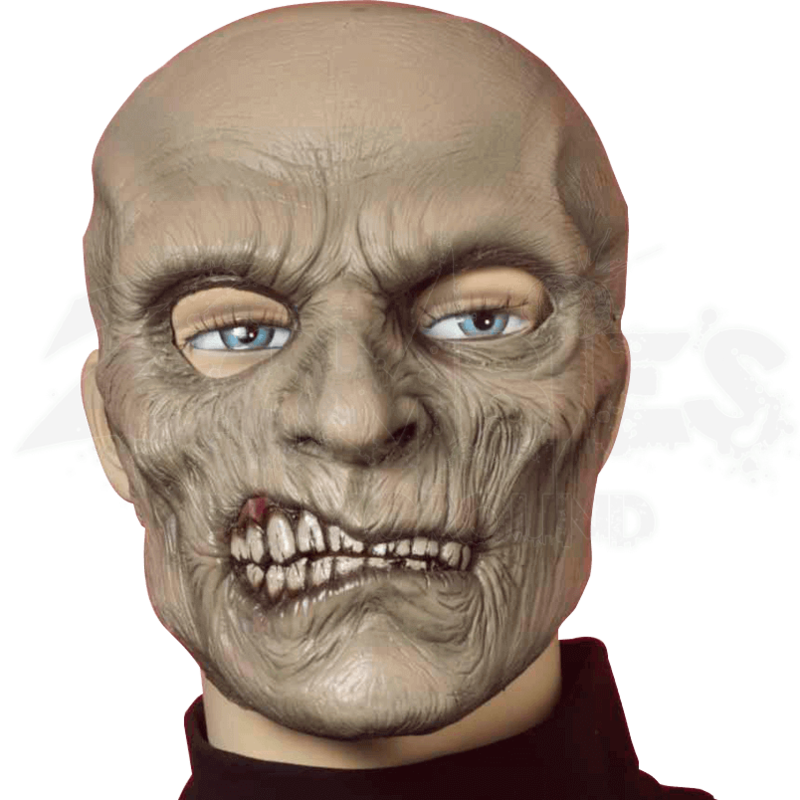 The mask is colored a pale, faded skin-tone, while the skin is sunken and pulled tight across the face, giving the mask a gaunt, deathly appearance. 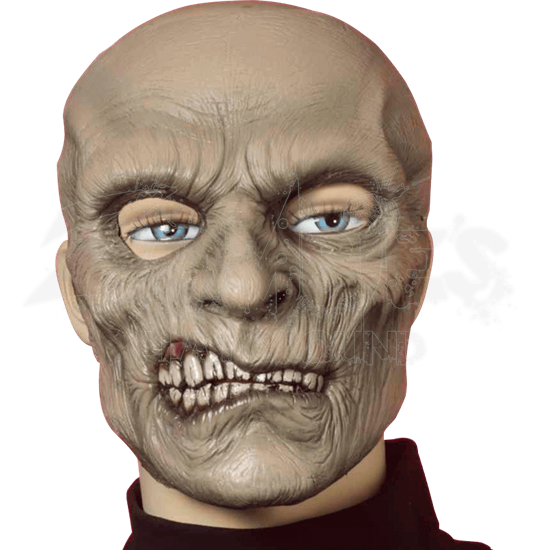 Unlike most zombies, this mask does not feature any wounds. Its most noteworthy feature is the expression, with one side of the masks lips being pulled open in a smile that is rather intimidating. The other half of the zombies smile is smaller and less disturbing. This half-mask is made from vinyl and covers only the face. It is worn using a cord that wraps around the back of the head, and features open eye-slits, so the mask shows your eyes when worn, allowing an unobstructed view of the world. Do zombies smile? Some do and some do not, and in the Smiling Zombie Mask, you will be the type that does, all while your expression scares survivors more than your undead state or your diet does.